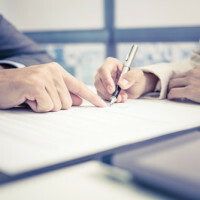 Agreeing to submit a claim to arbitration is often a good way to reduce the length and expense of a divorce or other dispute that would otherwise go before a New Jersey family part judge. That said, even arbitration actions can result in the parties being forced to go to court where an agreement to arbitrate fails to outline any special rules and procedures that the parties deem important. In the recent New Jersey Appellate Division decision Ivery-Little v. Little, despite objections from the ex-husband, the judges upheld an arbitration award granted to a woman deemed to have been the victim of domestic violence. The couple at the center of this case had been married for 25 years when the wife filed for divorce, including a Tevis claim in her divorce action. A Tevis claim is the name for a private civil action for money damages brought by a victim of spousal abuse. Tevis claims are named after the first New Jersey case, Tevis v. Tevis, where a battered spouse filed a lawsuit against her ex-husband for money damages to compensate her for undergoing years of physical abuse. If Tevis claims are to be raised, they must be included in a complaint for divorce where a spouse wishes to raise them, as they cannot be brought in a separate lawsuit due to their connection to the issues raised by a divorce (under the so-called “entire controversy” doctrine). While Tevis claims must initially be included in the same filing as a divorce, they are frequently heard in a separate action than the divorce, and decided by jury trial. Instead of proceeding to trial, the parties to this divorce agreed to submit the Tevis claim to binding arbitration, using a retired judge of their choosing as an arbitrator. While parties to an arbitration frequently lay out the rules that will govern the arbitration in a separate contract, since the regular rules of court governing how evidence is admitted or opinions are written do not apply in arbitration, this couple failed to do so. One key piece of evidence in the arbitration action was a letter sent from the husband to the wife shortly after the wife had filed for divorce. This letter was produced as evidence after the period for evidence production had closed, but months before the arbitration hearing occurred. The arbitrator allowed the letter to serve as evidence in the one-day hearing the parties held. A month later, the arbitrator issued a brief opinion which granted the wife $125,000 in damages for the “physical and mental injuries sustained by her during her marriage” to the husband. The opinion mentioned the letter, but did not cite any additional case law or evidence on which the arbitrator relied in deciding for the wife. The arbitration decision was later confirmed by a court, and the husband appealed. The husband claimed that the decision should be invalid due to the fact that it did not include a legal basis for the arbitrator’s decision, and admitted evidence which should have been barred. The Appellate Division upheld the arbitrator and trial court’s decisions. The judges noted that arbitration is not governed by court rules of evidence, nor are arbitrators required to outline a basis for their decisions, unless the parties explicitly agree in writing that the arbitration should include these things. Arbitration of your divorce and custody-related dispute can be an alternative to trying those issues in court. However, even when in arbitration, parties still benefit from using experienced attorneys who understand the process and know how to plan ahead to protect their clients’ interests. If you are seeking knowledgeable, seasoned representation for your New Jersey divorce or child custody action, contact Union family law attorney John B. D’Alessandro for a consultation on your case, at 908-964-0102.